The Health Sciences program at Missouri Baptist University provides a high-quality, student-centered learning environment for undergraduate education in pursuit of careers in the health sciences and professions. 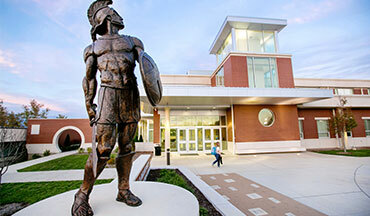 All necessary accreditation standards mandated by the Committee on Accreditation for the Exercise Sciences (CoAES) were met by Missouri Baptist University in the fall of 2008. The exercise science program was subsequently accredited by the Commission on Accreditation of Allied Health Education Programs (CAAHEP) in the summer of 2009, one of only 18 programs nationally to have earned this accreditation and acclaim. Looking for Graduate programs in Health & Sport Sciences? 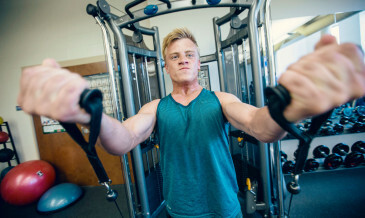 “The Fitness Management program at Missouri Baptist University provides undergraduate students with a degree plan for careers related to the health and fitness industry, which combines exercise physiology and testing with management and business aspects.